Infectious diseases have been considered since long time either from the point of view of the microbiologist, with a focus on the pathogen, or from the point of view of the immunologist, with a focus on the host. Knowledge of both microbiology and immunology is necessary for the study of infectious diseases. The Journal of Immunology and Microbiology covers all approaches that unite clinical, translational and basic scientist faculty of microbiology and immunology to develop new strategies in fighting infectious diseases. The journal’s objective is to spread and promote contemporary scientific achievements, highly advanced, innovative and pioneering research in the field to prevent disease and enhance human and animal health. Some of the research areas of interest include emerging pathogens (virus, bacterium, prion, protozoan or fungus), microbial pathogenesis, microbial virulence and resistance, host defense, infection outcome, host–pathogen interaction, antimicrobial agents, potential antibiotics of new class, antigen presentation, vaccine development and efficacy, new strategies of vaccination, prevention and infection control, development and delivery of cutting edge immunotherapies, mouse modeling of disease, laboratory techniques involving the interaction of antigens with specific antibodies, the study of microbial structure and various physical, chemical and biological characteristics pertaining to their capability to cause a disease. 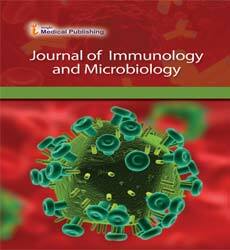 The Journal of Immunology and Microbiology ensures the faster publication of high quality articles with the support of its eminent Editorial board members. The Journal aspires to provide International scholarly communication, platform for dissemination of research through its publications. It encourages authors to publish their experimental and theoretical results in as much detail as possible. All the articles submitted to the journal undergo strict peer review done by the expert team of editors and reviewers. Two independent review comments followed by editor's decision will be considered to publish the article. Whole editorial team of the journal works in coordination in order to publish scholarly and scientifically reliable articles on Immunology and Microbiology.